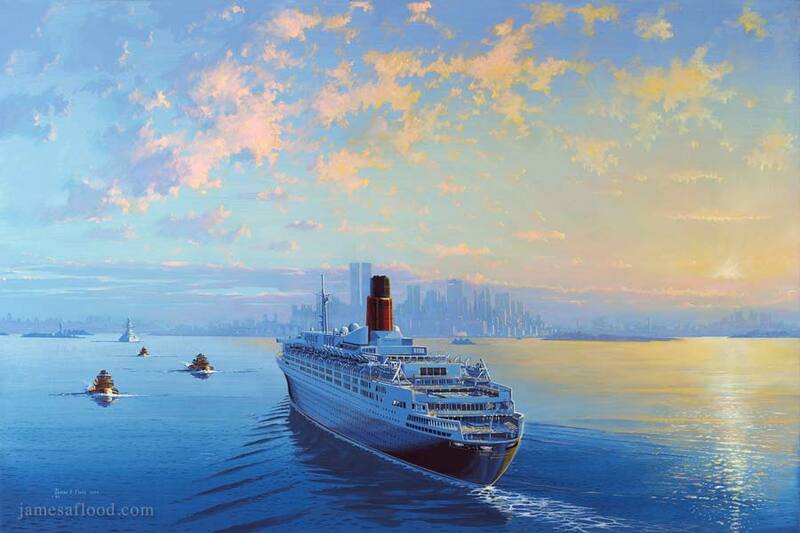 Here, at the break of a glorious summers day, Queen Elizabeth 2 is depicted entering New York Harbor accompanied by a squadron of tugboats. In the distance an Iowa class battleship sails down the Hudson, heading out to sea. The New York City Skyline, circa 1980's, rises up in the far background.